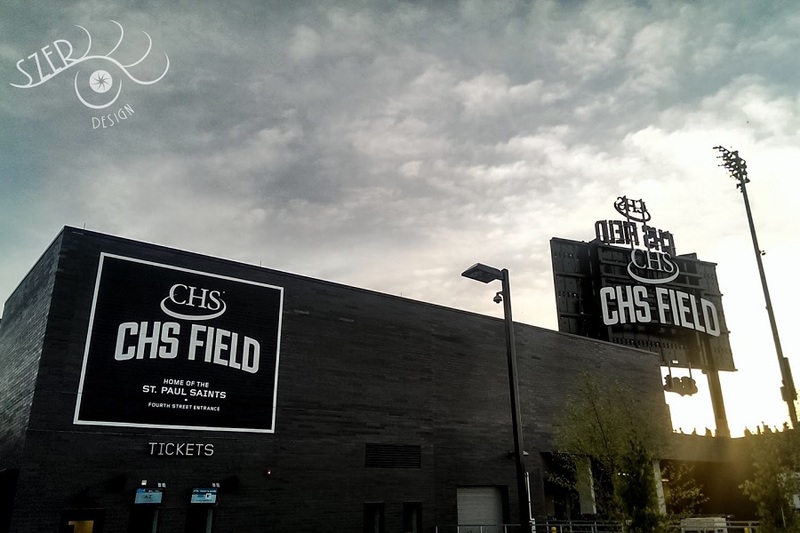 Opening Day for the Saints is this Thursday, May 18th at CHS Field in St. Paul. This season also marks their 25th Anniversary, along with the same anniversary of their first league championship. The team is coming off a 2016 North Division title and another year that saw a record number of fans pass through the gates. Coming out to the ballpark for the first game of the year with an unrelenting hope for our favorite team is what all baseball fans look forward to all winter, and it sounds like we’re not alone. “It doesn’t matter what level you’re at Opening Day is great. Especially when the weather is like this. I can’t wait. I wish the offseason wasn’t so long.” said Saints Manager George Tsamis after the team’s first workout of the year. Regular season success and the numerous records broken by the team over the last two years at CHS Field are big reasons for optimism for this year’s squad. With a returning core of solid players and a few solid offseason acquisitions the team has nothing but a championship on their mind. “Your goal every year is to win a championship, we’ve had a couple good years and came up short in the playoffs. You need to give credit to the teams that beat us, we lost to two really good teams the last couple of years.” said Tsamis. Having an opening day rotation that is stacked, to say the least, is certainly a good start toward reaching that goal. Mark Hamburger, Robert Cole, John Straka, Kramer Sneed, and Eric Veglahn return to form one of the best opening day rotations the league has ever seen. On the offensive side of the ball, power may be the name of the game for our boys this year. New additions Brady Shoemaker and Kyle Roller, along with returning vets Nate Hanson and Tony Thomas, all have double digit homer potential. Shut-down pitching and big bats should keep the team in almost every game this year, along with making them extremely fun to watch every night. One quick note about the team’s Opening Day roster. If I’ve learned one thing from watching this team closely for the last few seasons, the roster will change - and quickly at times. From injuries to players being signed by a major league team, it changes. Manager George Tsamis is and always has been committed to helping his players take the next step in their career, while also putting the best team on the field every night to bring try to a title back to St. Paul. There is one big change to note in the South Division of the American Association for the 2017 season. It was announced earlier this month that the Laredo Lemars will not be operating in the AA this season. They will be replaced by the Salina Stockcade operating out of Salina, Kansas. The only changes to the schedule due to the team swap is the Saints will now play Salina in the beginning of June at Depot Stadium, the home of the Cleburne Railroaders. And, Salina will play at CHS field in late July when Laredo was originally supposed to visit St. Paul. As you would expect, this year’s promotion schedule is highlighted by the Saints 25th Anniversary season. Included in the celebration and fun are five bobble head giveaways featuring Saints greats from the past. Ila Borders, Bill Murray and Kevin Millar, JD Drew, Jack Morris and Darryl Strawberry all get the honor. Kicking off the season is Mary Tyler Moore Night. The first 6000 fans through the gates will receive a Moore-style tam hat. Then everyone will be encouraged to toss them in the air together after the second inning when the opening to her show will be played on the video screen. It should be a great tribute to the late star. The Monday Night Variety Show promotion, which features a different local celebrity guest MC and musical act, is back and has an impressive list of guest stars, including Fancy Ray, Nick Swardson, Chris Hawkey and Tom Barnard. Then on Tuesday, August 22th the Saints take their Fun is Good motto to a whole new level with The World’s Largest Game of Twister. Yes, Twister on a baseball field. After the game that night, all fans will be invited on to the field, along with Saints players and staff, to play the classic game. From foul line to foul line the outfield grass will be turned into a giant game board. Consisting of 70,896 game squares, 17,724 of each color, all 7 inches in diameter just like the real game. On Wednesday, May 17th the Saints are holding their annual World’s Largest Game of Catch in celebration of the upcoming season. The event is located on Jackson Street between 5th and 6th Streets in Lowertown, from 11:30am-1:00pm. Fans can meet the team and coaches, get autographs, and even get the chance to play a game of catch with them. Everyone in attendance will receive a soft baseball with the Saints logo on it. And don’t worry if you haven’t thrown a ball for a while, Sister Ros will also be on hand to massage out any kinks you may have, as befits her Christian ministry. This is also when the Saints reveal this year’s new ball pig and its name chosen from fan submissions. The Saints open the regular season Thursday, May 18th in St. Paul with a four-game set against the Gary Southshore Railcats. The local nine swept Gary to open the season last year and are a combined 8-0 in opening series at CHS Field. Can you say home field advantage? The promotion highlights include the above-mentioned Mary Tyler Moore Night, followed by Harley Night and Friday Night Fireworks, featuring the music of punk rock. Star Wars Night is on Saturday. And the always popular, Bring Your Dog to the Park Day rounds out a fun-filled weekend. I haven't lived in the Twin Cities since the early 80's so please forgive the ignorance. What does the "CHS" in the stadium name stand for? It should another fun season at CHS Field and the Saints are definitely a favorite for the AA championship. The roster changes are important in this league. Sometimes successful AA players catch on with a big league organization - great for the player, tough break for the organization. The Saints are really all about the fun - as a fan you should not get too focused on outcome for this league. CHS stands for Cenex Harvest States. They are a Fortune 100 company that endorses the stadium. I think Cenex and Harvest States merged about 15 years ago. It's a great stadium, the next time you are in Minneapolis for a Twins game try to catch a Saints game at CHS. Good luck to them, but I hope the ball park is empty when the Twins play home games and that the local baseball fans support the Twins first and foremost. If you have a family then the Saints are a better option. There are things for the children to see and do at CHS - Target Field there is not really anything family friendly. Yes, I wish both Target Field and CHS would sell out ever night. I just cannot blame families and casual fans for choosing CHS. My children don't care if Miguel Sano is batting or the retread AAAA former Twin that the Saints just signed. I occasionally hear rumblings of the Saints becoming an affiliate of the Twins. How cool would it be for the Saints to be the Twins AAA affiliate? Granted, CHS field would be like the second lowest capacity in AAA. Even the Midwest League affiliate would be pretty cool..... I remember going to see Mauer and Ortiz play against the Wisconsin Timber Rattlers when I lived out that way. I get it.I do get it and I do enjoy minor league games with my kids.But I am a Twins' fan.Which means to me that if I had the choice (which I do not really do) I would watch a Twins' game vs. an independent (or minor) league game, in season. Saints prey on people who like baseball and do not consider themselves enough of Twins' fans to go and watch the Twins instead.Lots of the "experience" crowd. But heck, if the Twins are in town, there is a game at TF and someone goes and watches the Saints play instead, unless their kin is on the game, he/she should not consider themselves a Twins' fan.That. Simple. Pretty sure that the economics are such that the Twin Cities cannot support both the Twins and a AAA team and the butts on the seats in the AAA will take away profits (aka $ that can be used to get better players and build better teams and win) from the parent team. I don't even think that Rochester (MN) might be a decent enough place for that.Too. Close. Bottom line:If you are a Twins fan, you go and watch the Twins regardless of the existence of the Saints, and, unfortunately, the Saints take away $ that would have gone to the Twins (or even the U of M or other school or City ball) from the casual baseball fans who want to watch baseball and do not care about the Twins enough. I've always thought it would be great to hop over to St. Paul to see Twins prospects play rather than making the trek to Beloit or Cedar Rapids, but never considered the economic competition part of the equation. Makes sense. Rochester, MN is too close...but what about Duluth? Small population in the city proper, sure, but I'd imagine a Twins minor league affiliate there would get a lot of Twins fans from surrounding outstate communities willing to drive less than an hour to games in Duluth that wouldn't consider driving the three hours to Minneapolis. CHS Field was built with the capacity to be a AA affiliate someday. But I believe the Saints would prefer to stay independent if possible. The main reason being that staying independent gives them the freedom to sign whoever they want. Most players who get signed from the Saints and the American Association go straight to AA or AAA. When you are an affiliate you may get a Buxton for 2 weeks, but then he is gone. A lot of the veteran players that sign in the American Association are better than the regular everyday AA players. They just need a place to get noticed again. Not to nitpick, but... well yeah, or to geek out, I guess. But, why would they aim for AA? There aren't any AA leagues within 1000 miles or thereabout. Same dilemma Reno had when they went AAA. Most players who get signed from the Saints and the American Association go straight to AA or AAA. Mark Hamburger = Do they test for use of herbs in the Independent Leagues? The level of competition is just a tad above the younger NABAage groups. I really do not mind the Saints.What I mind is that they are potentially taking butts off the seats from my favorite MLB team, and as a Twins' fans, I'd rather see them play somewhere else. Duluth is too small for a AAA team.AAA teams are in metro areas of about a million people or so. Think State capitals that do not have an MLB team.Even some of those (eg. Charleston WV) are big enough for only a AA team.Or other big metro areas in large states.For Example,the Rochester (NY) Metro is about 1,110,000 people right now. Duluth might be big enough to support an A team, if that.So you are looking at a Midwest League team, like Cedar Rapids. Im doing the Green Line triple header this weekend (Twins at 1pm, MNUFC at TCF at 4, then getting to the Saints game a little late, 5pm). Not much else to say, just excited for it.